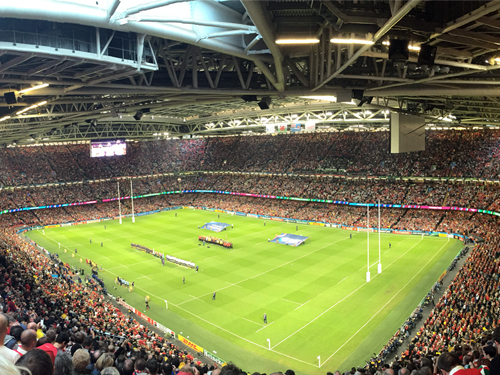 The autumn international reach their climax at the Principality Stadium with the arrival of the Springboks in Cardiff, so savour all the action in style with official WRU Wales v South Africa hospitality packages or a private box for your group. Wales bring the Under Armour Series 2018 to a close with a thrilling match against South Africa at the Principality Stadium this autumn. Cardiff is set for another blockbuster clash when the Springboks return for the autumn international 2018 and the city centre will be buzzing for the arrival of the southern hemisphere titans this November. The clash will be one of the key fixtures of the Under Armour Series 2018, which sees Wales host Scotland, Australia and Tonga in Cardiff. Last year, these two met in the Under Armour Series, producing a gripping encounter with Wales surviving late a South African comeback to win a dramatic match 24 – 22 in Cardiff. 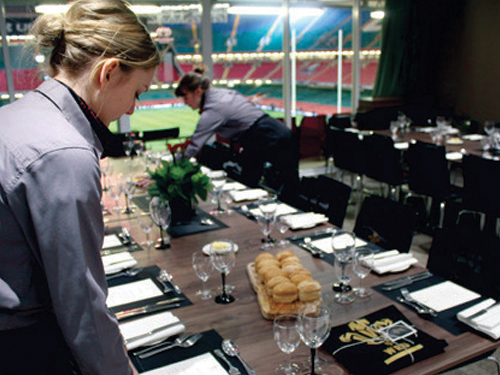 Elevate your match day experience to the next level with official WRU hospitality at the Principality Stadium this autumn. 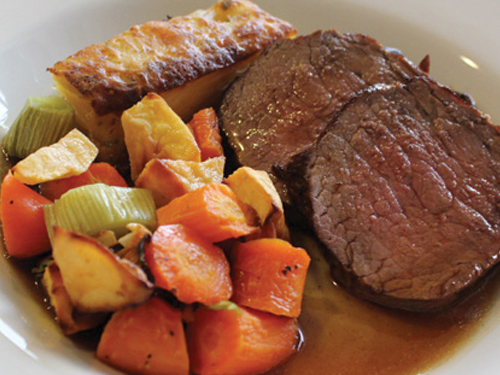 Discover the range of official Wales v South Africa hospitality packages and private box options and get set for a superb day of world class rugby this autumn. 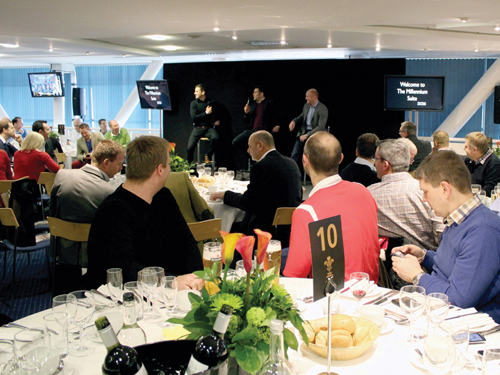 The Players' Lounge at the Principality Stadium is one of the most popular hospitality suites in world rugby. 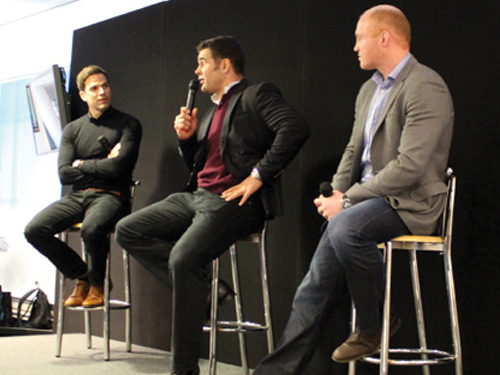 Hosted by Gethin Jones and starring guest appearances from some of rugby's greatest legends giving their expert analysis, the Players' Lounge gives guests a fabulous wining and dining hospitality experience and the very best VIP seats in the house to watch all the action. Bookings are available for minimum groups of 2 guests on shared tables, with private tables offered for groups of 10 guests. 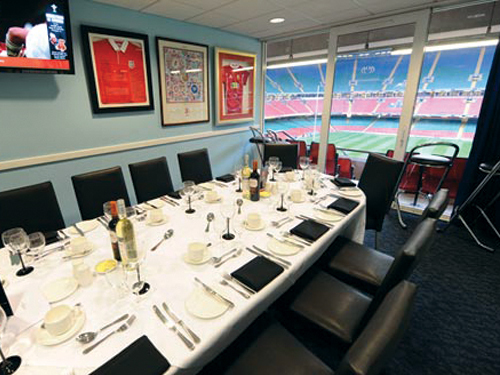 Private VIP Boxes at the Principality Stadium provide a fantastic way to entertain guests exclusively during match days in Cardiff. 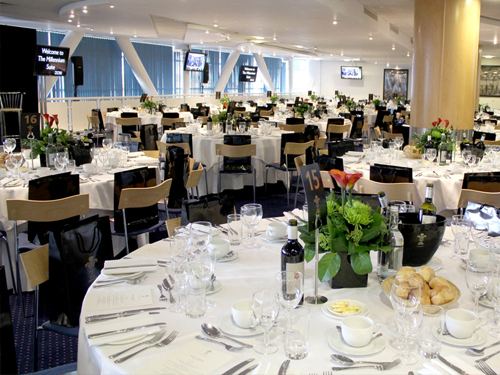 Offering a luxurious relaxed environment with fantastic views of the stadium from your own glass-fronted box inside the stadium, VIP balcony seating and all-inclusive hospitality within, it is easy to see why these private hospitality suites are so highly sort after. Private Boxes at the Principality Stadium can be booked for groups of 12 or 24 guests. To book your places or for the best prices on official Wales v South Africa hospitality packages at the Principality Stadium, please send us your requirements below and a member of our expert team will get back to you as soon as possible with all the information. 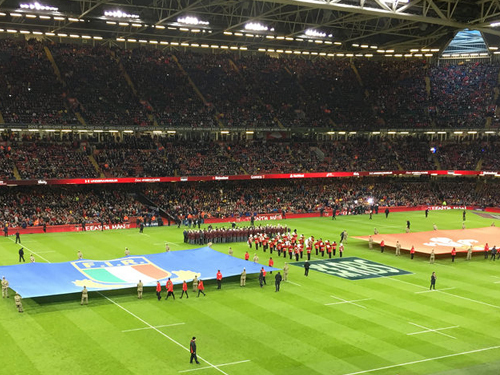 Our team of experienced event gurus have the expert knowledge to answer any questions and help you discover Wales v SA VIP tickets that perfectly suit your needs. 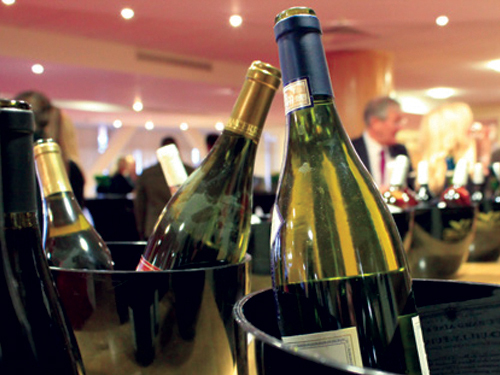 We pride ourselves on providing official WRU hospitality packages & box options, ensuring you can enjoy complete peace of mind each time you book an event.